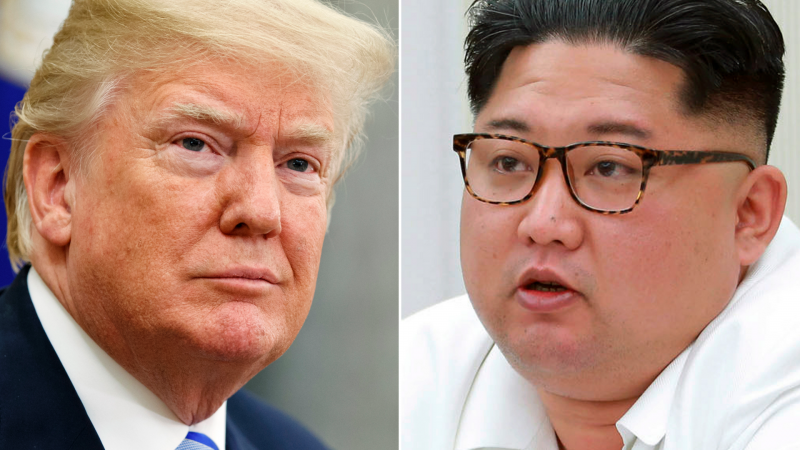 Given the insults they hurled at each other during the past year, it is quite extraordinary that Presidents Trump and Kim Jong Un will meet in Singapore on 12 June for a historic summit. Both leaders have mercurial personalities, strong egos and a desire for the spotlight. They have each side-lined advisors doubtful about the summit. Kim has re-shuffled his military top-brass while Trump has instructed his hard-line national security advisor, John Bolton, to keep quiet. The problem is that they each have vastly different expectations about the outcome of their meeting. Although Trump has back-peddled in recent days, stating that not everything can be accomplished at one meeting, he still sticks to the line that the US wants to see ‘immediate, complete, irreversible and verifiable denuclearisation’. North Korean views on denuclearisation thus remain very different from those of the US. For Pyongyang, this is a negotiation between two nuclear powers that should lead to security guarantees for North Korea, plus massive economic assistance, as a prelude to the eventual denuclearisation of the Korean peninsula. Apart from the US and DPRK, the two principal players involved in the push for a summit are South Korea and China. President Moon has already met Kim twice and agreed a process leading towards normalisation of relations. Moon has been the principal driver of the reconciliation approach even though South Koreans have mixed views on possible reunification with their northern brethren. China has by far the strongest influence on the DPRK and President Xi has summoned Kim twice for talks to ensure that China’s interests are not neglected. Beijing does not want a nuclear neighbour but it equally does not wish to see regime change and potentially unrest or US troops on its border. Kim has been critical of China for supporting UN sanctions against the DPRK but he also knows that Beijing provides his only economic lifeline. A full oil embargo could bring the DPRK to its knees in a few weeks. Japan has twin concerns of ensuring that it is not left exposed to medium-range DPRK missiles in the event of a deal whereby Kim gives up his ICBMs, and that Pyongyang reveals the fate of the numerous Japanese abductees. Russia has also sought to remind DPRK that it is a player, sending Foreign Minister Lavrov to meet Kim. The DPRK leader has also accepted an invitation to meet Putin in Moscow. The EU has backed the US and South Korean efforts to promote change and loyally implemented UN sanctions. But it is not regarded as a major player although it will be expected to put money on the table if and when an economic assistance package is agreed for North Korea. The past is no guide. There are many experts on the DPRK who point to the repeated failures of the past. There have been periodic negotiations on a six-party basis and bilaterally between the US and DPRK. A number of deals were agreed but they never held with each side accusing the other of breaching the agreement. Bolton and others fear that in his haste for a deal to sell to the American public Trump might fall into a trap in which Kim would offer a freeze as the first step to eventual denuclearisation. Full denuclearisation would come at the end of a process during which the DPRK would have signed a peace treaty with the US and received considerable economic and financial assistance. Kim is a youthful 34 years and wishes to stay in power for the next several decades. He has already shown that he can be a ruthless operator, having his half-brother assassinated. He may well understand that economic reform is the only way to ensure higher living standards for his impoverished people and possibly enhancing his legitimacy. But he also knows that this is a dangerous path because greater access to information will reveal the regime’s lies and could lead to protests. This is why Pyongyang has not conducted a fundamental reform despite constant urging from China. In addition, there is no peaceful way of transferring power –it is natural death or a coup. There is no doubt about the historic importance of the summit. Trump will arrive after a bruising encounter with Western allies at the G7 summit in Canada. He will be keen to secure some favourable headlines in Singapore. But given the competing visions and expectations of both sides, it will not be easy to spin a victory headline – or tweet.